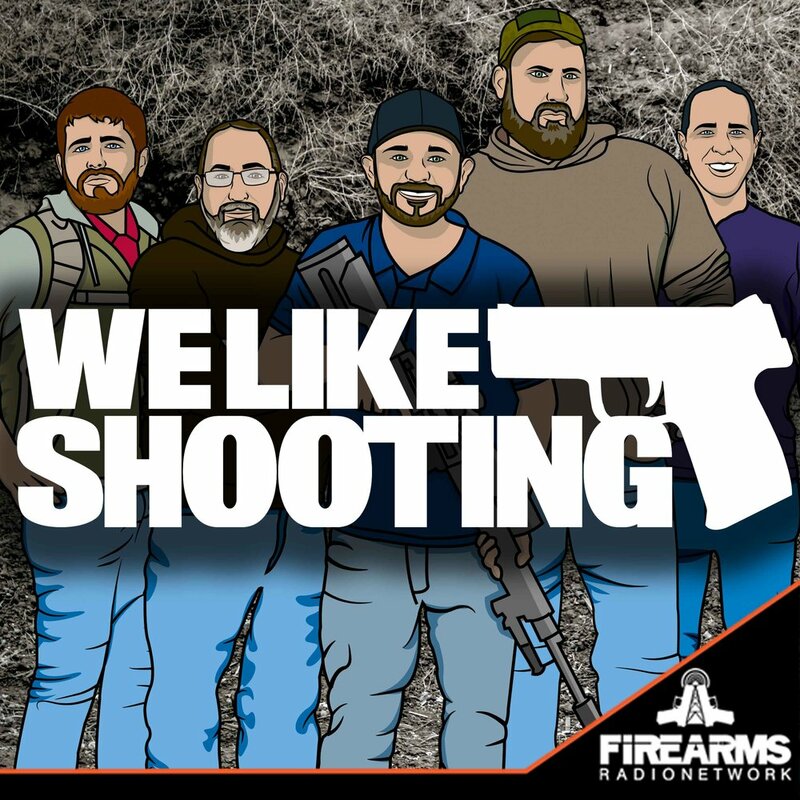 Welcome to the We Like Shooting show, Episode 66. This week we’ll talk about candrsenal’s poster, non lethal guns, devil dog concepts, shot timers, cancanconcealment, 2 vets arms and 5.11 clothing. I’m Shawn, an instructor, reviewer, competitor I was wondering, does this look infected? Nick - That woman's booty was bigger than the stomach of Rick Ross! Where were we? Oh yeah, Manticore Arms products. So yeah, we hate vampires so much, we will ship you our parts for FREE, just use coupon code WLS10 for free shipping through the end of November. Just be sure to email us pictures of the vampire you have conquered when you get a chance....mortals rule! In addition to our amazing sponsor, our show is crowdfunded. To say thanks we do cool stuff like send patches, stickers, etc. based on levels. We are giving away a rifle and a pistol to our patrons when we hit $500 per episode. Lil’s Livefire Lounge: For CALIFORNIA ladies!!! very funny and well put together, informative and honest. A true blessing to the firearms community. Keep up the great work guys and let’s hear more about Lil’s 6.5 bold gun build. love the show one of my highlights to my week. Informative and funny show. Would be twice as good if they ever actually have Colion Noir as a guest. +1 each for Shawn, Lil, Nick, Savage, Zak and of the course the best one of all Jeremy. Minus one for Aaron. I've been listening to the podcast for some time, and will occasionally watch the YouTube version (slightly problematic as I have an impressionable son that loves watching "shows" with me and desperately wants to talk more like a "grown up"... like Jeremy). This is the first time, though, that I have felt compelled to write to you... or any podcast producers, for that matter. I'm writing now because I just finished the infamous Episode 65. I'm not going to lie to you when I say that my wife thinks the show a bit "amateur-ish" most of the time and amazingly juvenile some of the time. I, however, can now point to this (Ep. 65) as final proof that your show is well and truly professional and (shockingly enough) very mature... in more than simply its language content. I was actually hoping that Episode 65 would cover the topic brought up by Jeremy in a previous episode that was benched for "next week". Otherwise I probably would have simply downloaded the podcast. But, I tuned in and... well... watched the debacle unfold. You guys gave equal time on your platform to a frankly offensive and antagonistic person who openly voiced criticisms of your work. You gave the man the opportunity to defend his views and opinions, and were no more antagonistic to him then you have been to any of your other guests, and far less than you typically are to each other on a weekly basis. You were as civil as you could be, and showed that while humor is integral to how you conduct your shows, your humor doesn't get in the way of your principals. Your polite but pointed observations about his intoxicated gun handling and your ready defense of Lil's dignity during the show provided all the evidence that I think anyone could ask for as to the nature of what you are trying to do with your show, and the manner in which you are working to achieve it. I'd love to be able to show this episode to my son. He loves shooting, as has shown some real ability in the last year that he and I have been using our .22 and pellet guns. I'd really love for him to be able to see that grown men, with beards and bellies and ball caps and "bad words", can and will stop someone from insulting a lady or point out to a stranger that something they are doing is dangerous to themselves and others. To quote Lil, though... "Jeremy uses a lot of bad words." Honestly, I love the show! Don't change a thing, even the language, and keep going with the honest, plain-talk format. It's like sitting on my porch with my friends... you don't talk "at" each other, you are talking "to" each other, and by extension to each of us. That is refreshing, to say the least. You handled a bad "guest" with as much dignity and grace as anyone could ask, and you gave him all the opportunity in the world to display exactly where those negative comments on the forums were actually coming from. Well done! You should be proud of yourselves. Looking forward to the next adventure! Thanks for what you do, and keep up the good work! We here at Manticore Arms wanted to commend you on how you and the other cast members of We Like Shooting handled yourself with your guest. We admire that you gave someone who was critical of the show a chance to give a logical and genuine response on the content of the show and how to improve it- giving both sides of an argument an ability to speak is something that not many shows would attempt. The handling of the events that transpired shows that the easy going nature of the show belies an overwhelming professionalism from all the cast members. Last night just reinforced that We Like Shooting represents the very best in the shooting community, and we look forward to continuing to sponsor your entertaining, informative, and incredibly fun show. Hey, we'd like to see it is, this is going to have a going from Albuquerque, New Mexico. I am actually. Just Trying to design a woke up stocks 4 in religion 700 HI, This is the right now is thetrigger mechanism the thinking maybe like a off respective buyer type linkage to get the run triggered to but it's actually on the action. And get out of wood, wonder if any of you guys had anyexperience working on both pups. I don't have any both. Oops. Now so. I'm kinda starting from scratch with this whole concept. Anyway, love your show and cool. Hope. Thanks. Bye. Yeah, Hi, this is carl. All. I know you guys don't want to call. Makes you wonder why. Jeremy have the pool or. We Are. What your. Hey, This is Adam from natural. You guys are great but. If you guys ever dealt with Deltec you 100 and find out the greatest thing in the world. But, and I traded on a point work so. What the hell.As you can use, good, bad, deep, culbertson's the 11th. Thanks, all of the job. Hey guys we we're here. Just wanna let you know that you can give me a great job of this blessed day. One by it so later on. Maybe you'll be network. And You Will you do not call and I want no he does include your coat job. When you get my black code bread. That's not Boomerang bow tie you what I mean, Hi Nick, Well, I don't know what I'm gonna go watch a movie Rocko bye and has This is Bill and I will read it Yeah, hey. We apologize to Colion Noir for bumping them this week, Better luck next week.